Look out Lassie, there’s a new kid in town, and her name is Sadie! 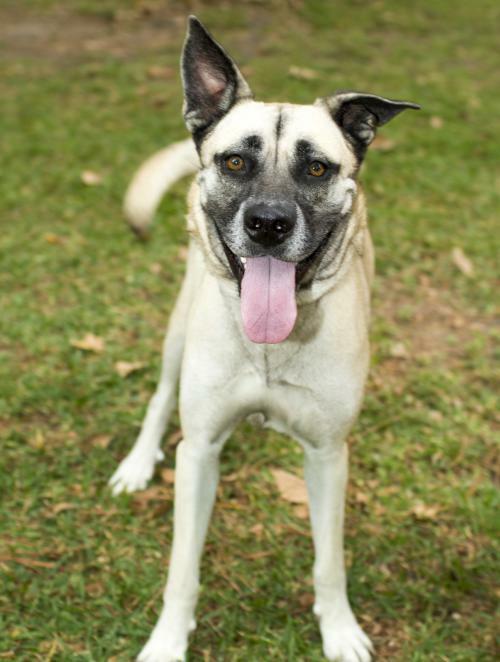 Sadie is a loving, athletic and social girl who is approximately 2-3 year old. She weighs around 75 pounds and is a shepherd mix. Sadie was rescue in Houston, Texas after giving birth to 11 puppies. She was a great mom and took great care of her pups. She was well socialized around other dogs, small and large, and with people and respectful children while in Texas. 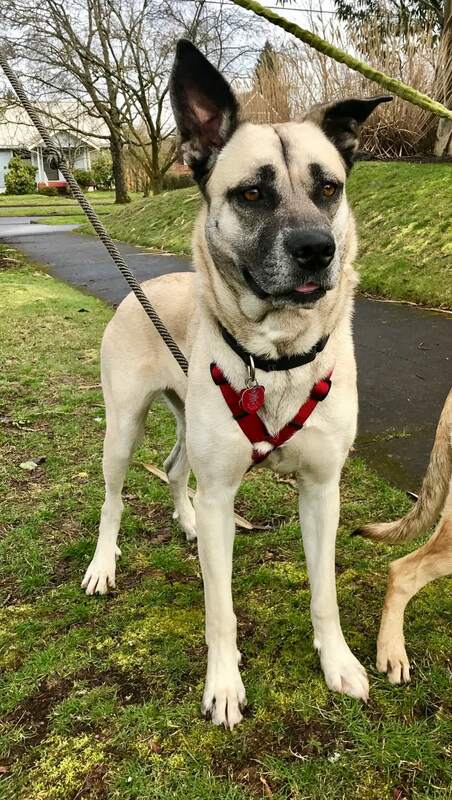 She came to the Pacific Northwest with one of her pups and is currently being fostered in Portland, Oregon. Sadie was made for the Pacific NW because she loves to be outside and would be a great running, hiking and camping partner. The best home for her would be one where she has a fenced yard to romp in when not enjoying the outdoors with her family. She loves car rides – oh how she loves car rides! She would do well as the only dog and as a part of a pack as she has loved sharing a home with her 8 month old daughter, Isla too. They are incredibly silly and playful which makes for a great deal of entertainment for observing humans who can’t help but smile seeing all the fun being shared. Sadie is smart and has been very trainable. She is responsive and obedient with all the basic commands and enjoys training time. She also loves to cuddle! Sadie is waiting to hear from her forever family. And her foster mom is happy to share more about her and arrange a meet and greet too! If you are interested in meeting me, please reach out to my foster Andrea at 503-348-6216 or drearun@hotmail.com!